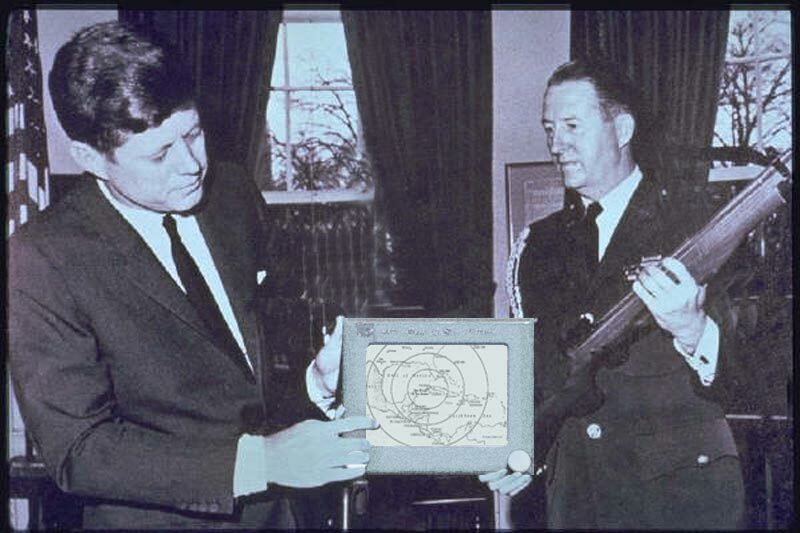 That could easily have been the headline in October of 1962. 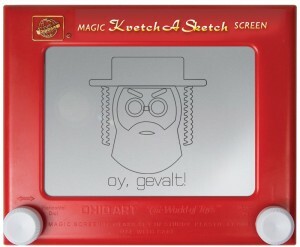 When the drawing toy first arrived in the US, there’d never anything like it. In an age of fingerpainting and Play Doh, and woven summer-school ‘Scooby-Do’ boondoggles, it was precise, instant and tactile. That, and its tv-screen form-factor and control knobs gave it a progressive, ‘technological’ feel. But while it had all the characteristics of an intelligent, powered device, it delivered its instant gratification without the use of electricity. The inventor died recently, which surprised me. I didn’t know there was a specific inventor, I’d just assumed it was designed by a committee of space-age engineers. Of course, he was French. André Cassagnes. The truly unique things in our lives are always invented by some solitary French guy. Like Braille (Louis Braille). Scuba (Jacques Cousteau). Pasteurization (another ‘Louis’). And the 3-hour workday (‘Pepé Le Pew’). Hedge-a-Sketch: Used by fund managers to draw big, rosy graphs of their investment returns, smaller doodles of their fees, and tiny icons of the risks to investors and claims of liquidity. 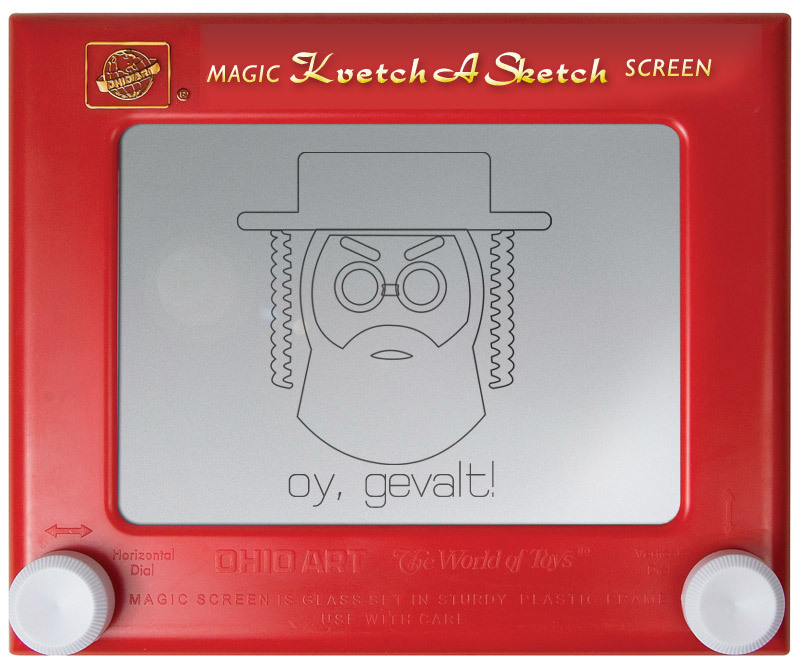 Kvetch-a-Sketch: Very popular in Hollywood. No matter what you draw on the device, it comes out as a complaint. You manage to get Barbara Streisand to sing at your son’s Bar Mitzvah, and when you try to write her a ‘thank you’, it comes out as a big, fat bellyache about song choice. Tuxedo version available each February to sketch complaints about Academy Awards seat assignments, with the ‘erase’ feature disabled. Fletch-a-Sketch: no matter what you draw, it comes out as an ill-conceived caricature of a notable personality parodied in Chevy Chase spy movies. Pitching Wedge-a-Sketch: Found in the golf bags of some top tournament champions, used by caddies to show their players ideas for tricky short game golf shots, and for noting the phone numbers of available fans. Legal for tournament play by competitors only; fans may not use for autographs. Veg-a-Sketch: draw in any item from a carnivore’s diet, and the pad will show you a vegan equivalent. Draw in fish oil capsules, and you’ll get a sketch of flax seeds…and the toothpick you’ll need to get them out from between your teeth. Pledge-a-Sketch: A crowdfunding tool. An Etch a Sketch that is networked to large groups of people, each of which controls one movement of either the horizontal or vertical knob. Once a funding objective is announced, the crowd ‘designs’ contributions to which they are pledged financially. Wedge-a-Sketch: draws pictures of people you don’t like, with their underwear pulled up into their buttocks. 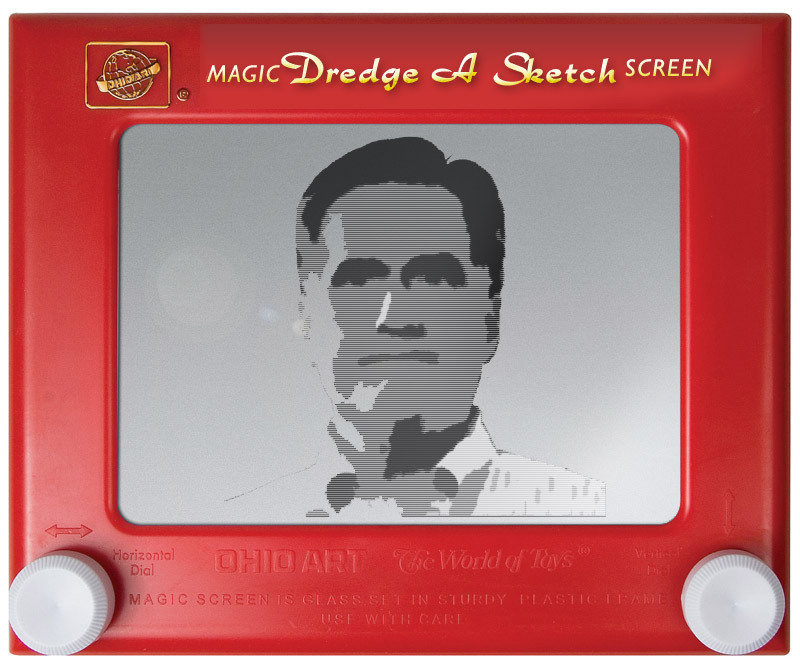 Dredge-a-Sketch: a device provided free of charge by political campaigns to their opponents, in hopes that their spokespeople will refer to its ‘quick erase’ feature as representative of their candidates’ sincerity. You couldn’t write a more bizarre script, so the Dredge-a-Sketch won’t let you(!) The unit will also graphically portray the candidates’ instant drop in popularity and the evaporation of campaign contributions. 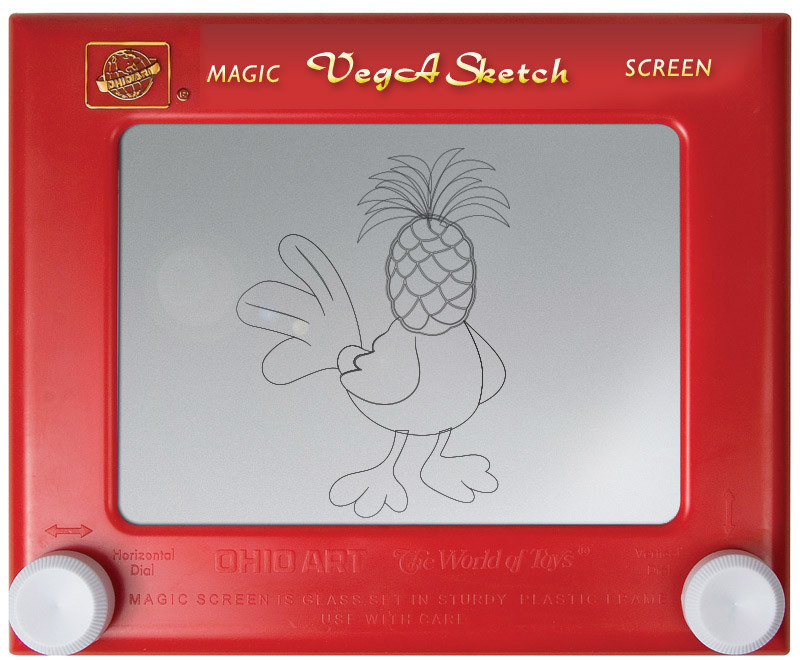 Allege-a-Sketch: used by District Attorneys to construct complaints against defendants after the investigators have used them to sketch likenesses of the suspects, layout of a crime scene, and depictions of evidence. The device then gets handed around the jury box to allow the jurors to draw their own conclusions. 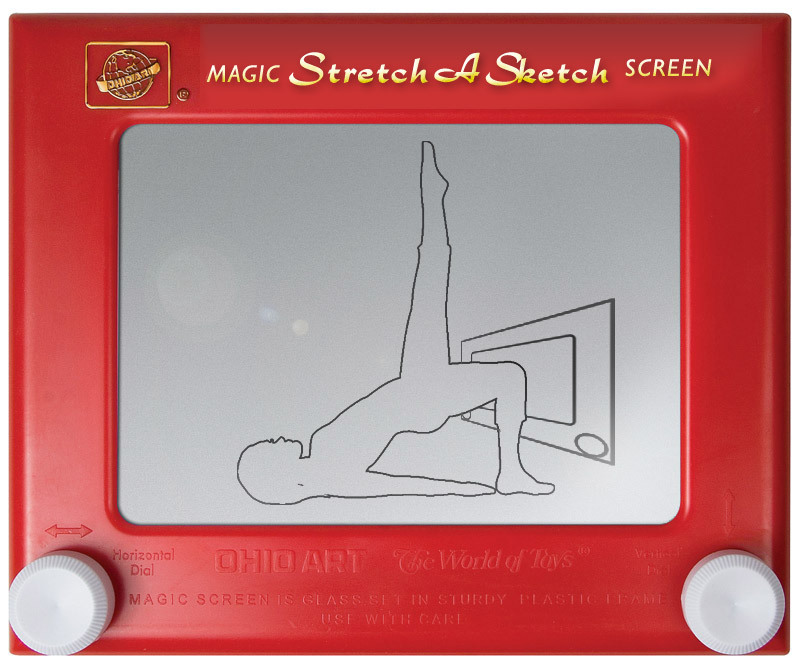 Stretch-a-Sketch: you lay this version on your floor mat during warm-up for your Pilates. The exercise is called ‘Cat With Knobs’ and using anything but your hands to operate the two dials, draw sketches of the perfect body you visualize for yourself.